Sun Shang Xiang can use any equipment as hail of arrows. Outside of her turn, for every unit that a boy with equipment is damaged, Sun Shang Xiang draws one. 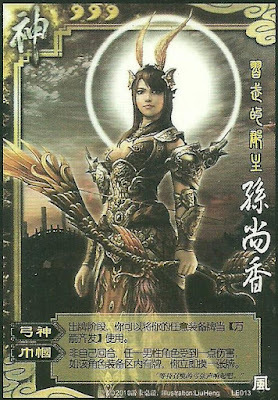 Sun Shang Xiang can use either equipment from her hand or already equipped for "Bow of God".